Wine and Cupcakes is coming to Winston-Salem on October 27, 2011. 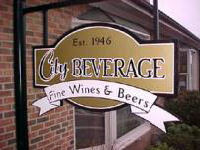 Join us at City Beverage at 7pm for a unique wine experience. We will be pairing 6 wines with 6 perfectly paired gourmet mini-cupcakes provided by Camino Bakery. Discussion will focus on some of the best ways to pair wine and food. Explore the French, Italian, Oregon, and California selections. All wines will be available for bottle purchase following the tasting. What cupcakes will we pair with them? You’ll have to be there to find out! Think savory, spicy and not your grandma’s cupcakes…. but you can look at Wine and Cupcakes, Cleveland to see what we did there! Tickets are on sale now for $30 in advance, and $35 at the door. Seating is limited to 30 people, so buy early to avoid missing out on this fun evening. Posted in events, North Carolina, pairings and tagged Greensboro, NC, wine event, Winston-Salem. Bookmark the permalink. Apparently this is what the esteemed Willis was tlakin’ ’bout. If you wrote an article about life we’d all reach englihtenment. What a joy to find such clear tkhniing. Thanks for posting! Umm, are you ralely just giving this info out for nothing? Wow, sounds like a blast!! Wish I could be there. They are awesome events. I’ll get that cupcake recipe over to you this evening. You can have your own private pairing! 😉 Thanks for the conversation, Judy. Love following you on twitter. I found just what I was needed, and it was enteratinnig!